For a new blogger, it is critical to get traffic for your blog and internet marketing of your blog will help you to get this goal. If you’re new to Internet Marketing, then maybe you thought that once you’d built your website, visitors would automatically come. Yeah, I thought that too. But it is not an easy task. To get traffic the best step is to get the Backlinks for your website or blog. Well, a backlink is simply a link directly to your website, blog or any online presence that you may have. For the purpose of this guide, we’ll presume you have a website and concentrate on that. Click Here and this blue, underlined text is a hyperlink. If you can get backlinks from .edu or .gov sites, you’ll benefit immensely in your SEO (Search Engine Optimization) campaigns, because Google respects these sites a lot and links originating from these sites are considered to be of the highest order. Any webmaster would like .edu and .gov backlinks, especially since one .edu link is worth about 10 .com links. These backlinks will improve your site’s position in the search engine results in double-quick time. It must be said, .edu sites are given equal weight as .gov websites, even though .gov backlinks are much harder to get. 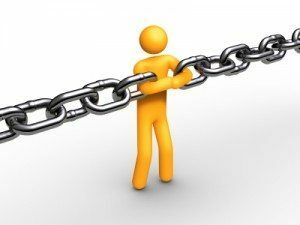 Try to getting backlinks from different language sites is helpful, because these websites usually have fewer outbound links, so you get full authority from them. Always try to make your comment useful and relevant to post and commenting in dofollow blog pages can get you some fast backlinks. These are the very useful resources to get a backlink, if you know any, please let us know in the comments section below. Backlink from the no-follow links are countless and not worth because search engines don’t see these links. Take care to post as much as you can on the blogs which have regular links instead. Unfortunately, almost 99% of these blogs has no-follow attribute attached to their own links. So, it’s going to be very hard to find one with “no-follow” disabled. Good luck with your link development! I am familiar with the ‘site:’ command on Google, but looking at the examples you are using, its not clear to me how exactly I would use them. I tried using the command to locate Florida Boating .edu blogs, but it returned a bunch of really old irrelevant blogs. I assum I must be doing some thing wrong. How would you structure the search string for this query? Thanks for the question. You can try the following queries in Google. Please let me know if the above queries work. I hope it will. I tried using the command to locate Florida Boating .edu blogs, but it returned a bunch of really old irrelevant blogs. Very useful info. for a blogger like mine . Thanks for sharing wonderful info. Thanks for this write up. I have been searching for ways to add edu and gov backlinks. The site string and url string thing has been enourmously helpful. As has putting comments in the search query. Thanks again! This one with some doubts, now I am a little more clear. Very Informative thanks for sharing. why do you have to have a backlink? is there a miximum to find backlinks in a day? Thanks for your helpful post, this post is very useful for me, I look for comments like blog lists and I’m happy when I see your site post.